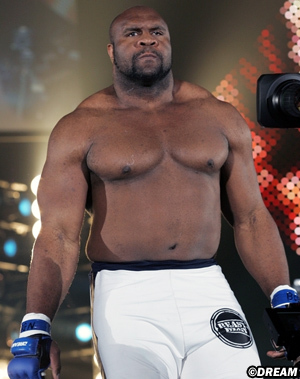 ◆ Bob Sapp explains DREAM "Dynamite!! 2010" no-show, says DREAM is "broke"
The massive heavyweight known around the world as Bob Sapp admits he was haggling backstage with Fighting and Entertainment Group (FEG) executives just prior to curtain time at DREAM "Dynamite!! 2010." Just what he was haggling over is his bone of contention with the Japanese fight promotion's officials. Sapp on Monday evening told MMAjunkie.com (www.mmajunkie.com) that promoters were supposed to pay him $30,000 to fight Shinichi Suzukawa in a modified-rules bout at the year-end show in Saitama Super Arena in Saitama, Japan. Instead, he claims FEG executive Sadaharu Tanikawa offered him $15,000 shortly after he arrived in the country the week prior to the event. He refused and made a counter-offer of $25,000, a sum which he claims is half of what the promotion owed him for previous services. What followed next, he said, was a parade of different executives who continued to negotiate with him right up to showtime. When he made a final refusal of the original offer, the promotion pulled him from the fight card and announced on air that he wanted to renegotiate his contract, or more specifically, ask for more money. Sapp claims he has a contract with FEG that verifies the rate of pay he was expected to receive for the Dec. 31 fight, as well as other fights, though he said the promotion has yet to honor the terms of that deal. During the promotion's heyday in the mid-2000s, he said he was routinely paid between $350,000 and $400,000 to fight. Usually, Sapp requires promotions to put his purse in an escrow account long before fight time to avoid financial disputes. This past July, he was pulled from a fight card for the startup Impact FC promotion after officials failed to do so. With DREAM, he decided to press his luck, which was a decision he now regrets. The fighter returned to the U.S. late this past week after an extended stay in Japan where, he said, sponsors paid him his New Year's Eve purse to apologize for Tanikawa's behavior. DREAM's official website lists Sapp's fight as a win in favor of Suzukawa. "They were apologizing for the horrible state that K-1 is in," he said. "The No. 1 problem is that K-1 is extremely broke. So is DREAM. They're paying some fighters as early as in six months, and the other fighters, they're just stiffing." Of course, that's no news to stateside MMA fans who for several months have heard fighters complain about the promotion's payroll policies. MMAjunkie.com reported this past month that Gary Goodridge, who took to the Internet to complain about his financial woes with FEG, would be paid after nearly a yearlong wait. Goodridge's manager, Steve Ruisch, subsequently confirmed the payment earlier this month, though he noted that Goodridge had been paid only $11,000 of an expected $20,000 purse, with the remaining amount taken out to pay Japanese taxes. DREAM's U.S. representative, Mike Kogan, told MMAjunkie.com that Goodridge was required to pay Japanese consumption tax, though Goodridge said he never had a contract with the company where that was specified. Sapp said consumption tax amounts to no more than 10 percent of earnings. Sapp also said current reports are just the tip of the iceberg in tallying fighters who haven't been paid. He claims the promotion no longer occupies a formal office and has taken residence in the office of one of its advertising companies. 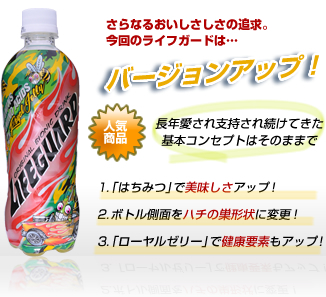 Japanese MMA blog Nightmare of Battle today quoted an interview Tanikawa gave to Japanese magazine "Sports Graphic Novel" in which the executive gave a dire assessment of FEG's future. "The current course is that FEG will die," Tanikawa said. "There are probably staff members that will leave as well. The event name will be left but the promotion will change. If the current structure remains as it is it will be impossible to continue. If many investments from companies overseas do not come in we can’t survive." With both ratings and attendance down in recent years, the Japanese fight promotion has been trying to raise additional funds through a recent partnership with PUJI Capital, an investment banking group, though the success of those efforts is unclear. While Sapp (11-6-1) has written off the purse he was supposed to receive, he said he wanted to speak out because he feels he has been unfairly blamed for the no-show. "(Tanikawa said), 'Bob walked out because his fighting spirit wasn't good,'" Sapp said. "And I'm just like, 'You know what? I'm done with all the talk about me. I'm done with them stiffing the fighters. I'm just done with it. I've seen too much. Start paying people to show up.'" Stay tuned to MMAjunkie.com for an update on this story and a response from DREAM. And for more on DREAM "Dynamite!! 2010," including an official event recap, check out the MMA Events section of MMAjunkie.com.